A good bucket-compatible backpack is surprisingly hard to find. The “bucketpack” pictured above is from HuntGear.net, but does not seem to be available for purchase. People look for bucket backpacks when they want to carry materials such as rocks, soil, sharp objects – or even liquids. The inner bucket layer can get scratched, dirty and nasty while the backpack itself remains in good condition. 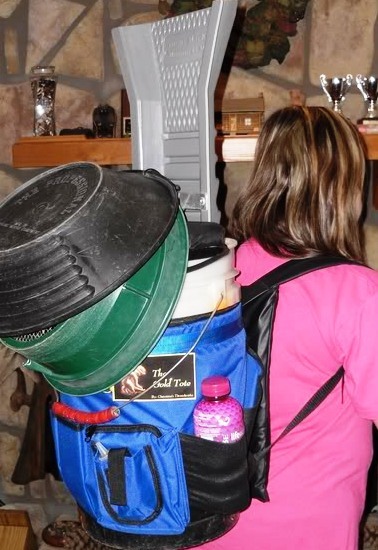 Since bucket backpacks are so hard to find online, one creative gold prospector made her own by attaching backpack straps to a fisherman’s bucket caddy. She calls her invention “Gold Tote” because she literally uses it in her quest for gold. This is my favorite bucket backpack because it’s zero budget and would probably irritate the teachers. If I were to redo high school all over again, this is how I’d be carting my notebooks around. This is the Five Gallon Pack. It’s the only 5 gallon bucket backpack that I’ve ever seen available for purchase online. Essentially it’s a universal bucket harness with shoulder straps so it can be carried on the back. 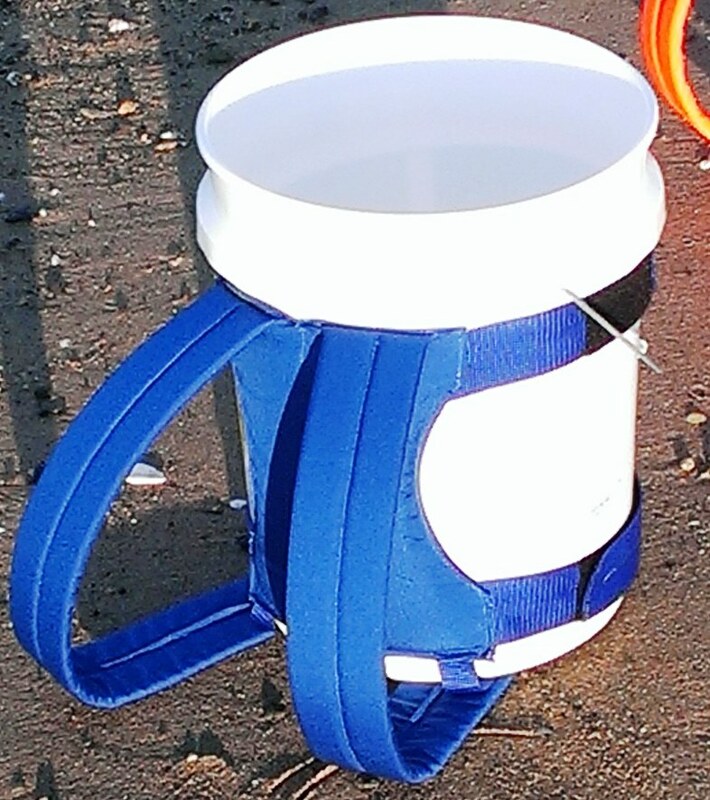 It works with standard 5 gallon round buckets as well as their 4 gallon square counterparts. You can learn more about the Five Gallon Pack on their website – where they’re available to purchase for 20$ each. Aside of these pictures, nothing can be found elsewhere. Hopefully, huntgear.net staff might contact you. 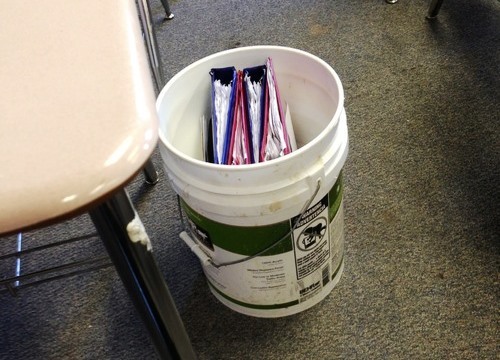 Have you ever seen how to turn a 5 gallon bucket into a rock hunting tool? I remember seeing an idea of cutting the bottom out and putting plexiglass in it so you could submerge the bucket into water and get a good view of the stream bed. Do you have any instructions on how to make one??? That’s a new one Bill – thanks for the idea! IT seems relatively straightforward a project, the only real challenge would be waterproofing the seam between the bucket and the plexiglass. I would mount the plexiglass below the bucket rather than above so that the water pressure is working with you rather than against you – and seal it on with silicone sealant. The shape of the bucket should not be round because it places too much stress right on the spinal cord, and any bouncing around over time would probably inflict harm to the spinal cord. Hefty makes a 13 gallon concave plastic trash can shape that I really like, but 13 gallons is too large.